Two cars collided in Boyle County, Kentucky. Initial Police reports and investigations have determined that wreck involved a car driven by a 33 year old man from Lexington and another car driven by a 28 year old woman of Boyle County. The woman also had her two minor children in the car with her. All four people were taken from the scene of the accident to Ephraim McDowell Regional Medical Center and then transported to UK Medical Center. The injuries include broken bones, internal injuries, and a possible collapse lung. It has been reported that the wreck occurred in a curve on Lebanon Road outside Danville, Kentucky and was partially a head-on collision. Initial reports indicate that the 33 year old male from Lexington may have attempted to pass another vehicle and not gotten back fully into his lane when the wreck occurred in the bend in the road. Rainy weather may also be a contributing factor. An accident re-constructionist should be hired to examine the scene immediately to preserve evidence for latter as this case progresses to determine liability and seek recovery of damages. Drivers need to take extra precautions on wet country roads. As seen in this case, driving too fast and attempting to pass other drivers can cause serious accident. From the photos of the scene, it appears that the is a double solid line at the point of impact, which would mean that if the male driver were passing another vehicle and failed to be fully in his lane, then he is at fault in this accident. However, due to the nature of the turn and the male driver and his insurance company may try to dispute liability or claim some fault on the part of the female driver. This fault comparison is when the matter will become legally complicated. Passenger injuries make it even more so. The family of the family of the female driver and her two young children should seek legal advise about how to proceed with seeking to be compensated for their injures, medical bills, lost wages, pain & suffering, and damage to their vehicle. Due to the disputed nature of the crash at this time, and the likelihood of the male driver and his insurance company’s attempt to apportion some fault and reduce the damages amount based upon claims that the female driver bears some fault, the children of the female driver should not be shorted any recovery amounts, as they were passengers and can not be held at fault. 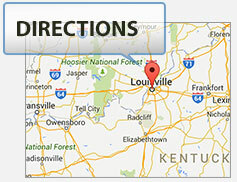 Passengers on motor vehicles in Kentucky have multiple avenues of recovery for auto injuries. 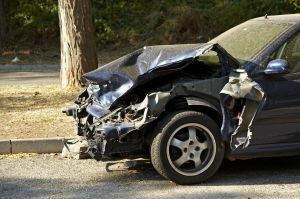 For more information on the rights of persons injured in auto accidents, including passengers, contact the Ackerson Law Offices, (502) 882-5176, and Kentucky injury attorney Brent T. Ackerson. You can email Brent directly at by clicking here.